Why would I need self storage in Saint Ann, MO? There are a variety of reasons why you might need self-storage in Saint Ann, MO. How much is a storage unit in Saint Ann, MO? The cheapest storage unit in Saint Ann, MO is $33.00 per month. What size storage units do you have available in Saint Ann, MO? In Saint Ann, MO we have sizes that range from 5'x5' to 20'x40' to suit your storage needs. How much is it for a 5'x5' storage unit in Saint Ann, MO? The cheapest 5'x5' storage unit in Saint Ann, MO is $33.00 per month. St. Ann is a small suburban city in eastern Missouri. 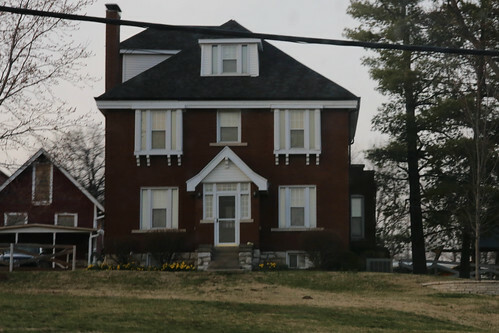 It's considered one of St. Louis' inner-ring suburbs, meaning that it shares a border with the larger city. Although the population peaked in the 1970s and has slowly been decreasing ever since, St. Ann is still a city with plenty to offer. St. Ann began as a community housing project for employees of nearby defense plants. The community sported a commercial center with a grocer, drug-store, barber, beauty shop, hardware store and realty office in 1943, offering all the amenities that families needed alongside affordable housing options. The county granted St. Ann's petition for incorporation in 1948, and it became one of only a few permanent communities in the United States that were constructed around defense projects. In 1950, a massive commercial shopping center covering 32,000 square feet was built at St. Charles and Ashby Roads. This turned St. Ann into one of the most popular shopping destinations in St. Louis County. The city has a well-developed parks and recreation department, which manages several local parks and facilities as well as a number of recreational programs. The St. Ann Community Center is a very popular spot with locals and offers just about any recreational amenity you can think of. You can rent racquetball, handball and wallyball courts by the hour as well as check out all the equipment you need for a game. The center also features a sauna, a weights and cardio center and a game room with a pool table, a foosball table and a ping-pong table. As a resident, you have full access to the community center and also have the option of bringing a guest. St. Ann also provides many recreational programs and classes, for adults, children and senior citizens. Aerobics, yoga and gymnastics are just a few of the class options. St. Ann is served by the Pattonville and Ritenour school districts. The larger St. Louis area has many private schools to consider, including parochial, college-prep and Montessori campuses. Utilities: Major utility companies in the area include AmerenUE, Laclede Gas and Missouri American Water. Garbage and Recycling: Allied Waste provides weekly trash and yard waste collection. Transportation: The St. Louis Metro Transit network serves St. Ann and many of its neighboring communities. Housing costs in St. Ann are well below average for both the state and the country. Because St. Ann is a small city, its housing market is limited. However, you'll still find a variety of housing styles and sizes to consider, making it simple enough to find something that works for you. Our lowest priced units in Saint Ann, MO average $33.00 per month. 33 people have reserved units in Saint Ann, MO in the past 30 days. There is 1 location within Saint Ann, MO's city limits. There is 1 location in Saint Ann, MO that offers AC and Heating features.